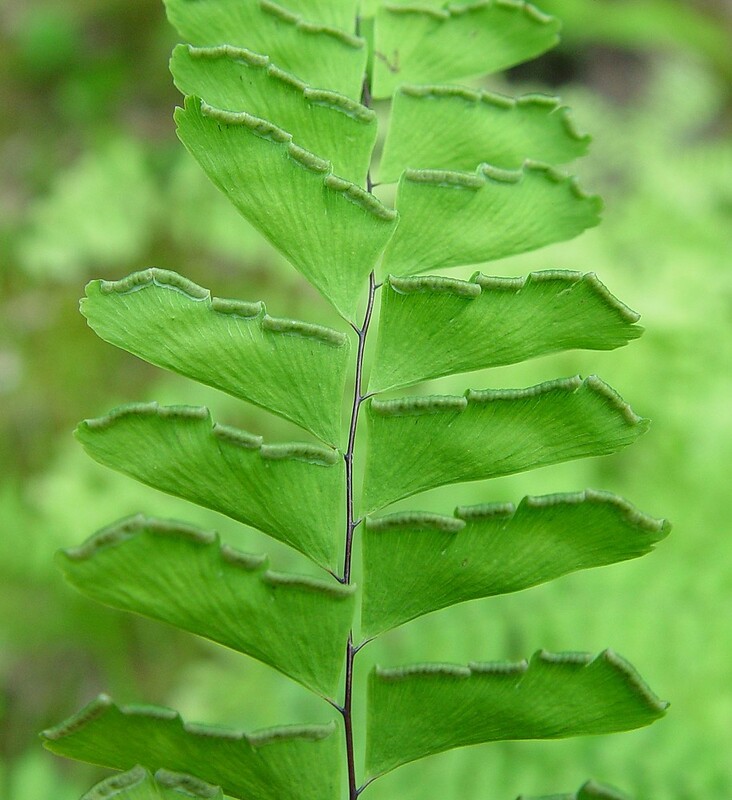 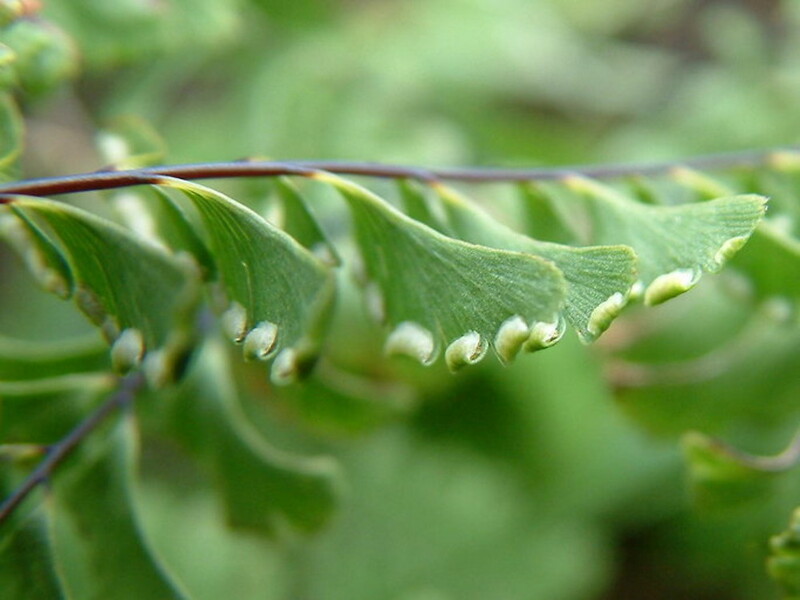 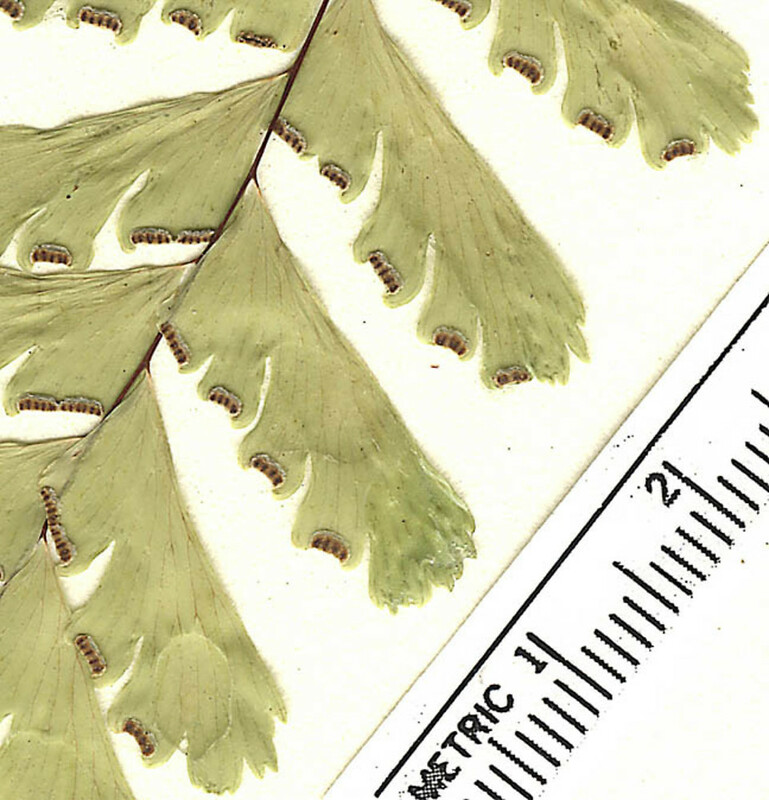 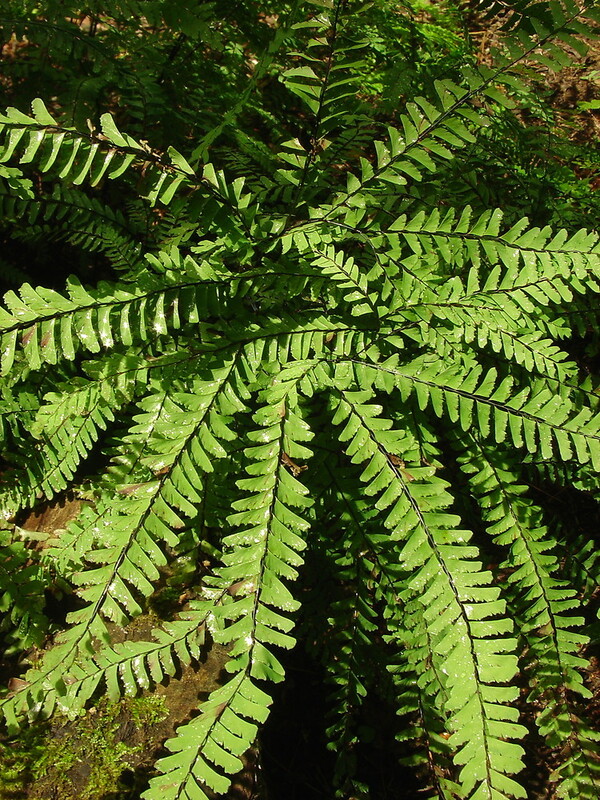 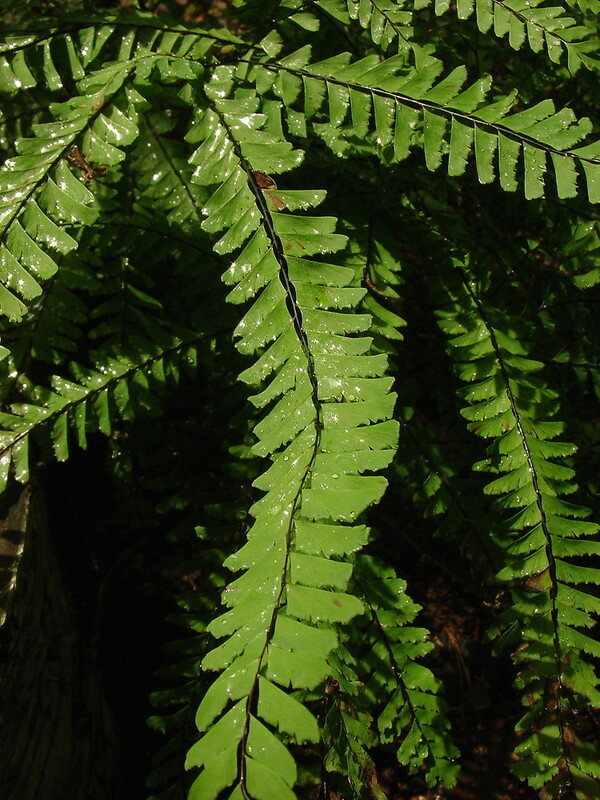 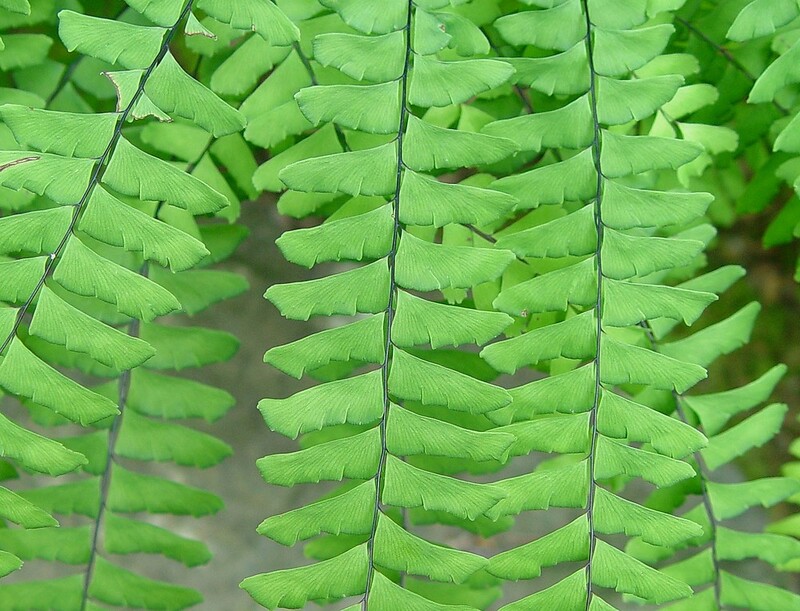 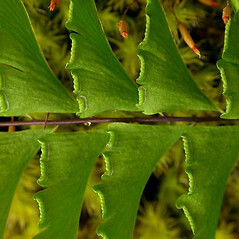 Western maidenhair fern is mainly found in western North America, from southern Arizona to the Aleutian Islands. 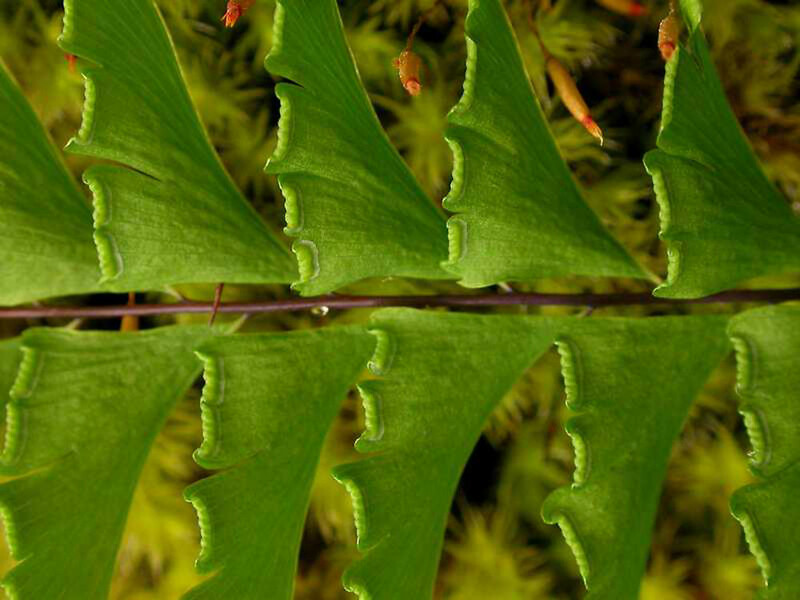 There are a few disjunt populations in the East. 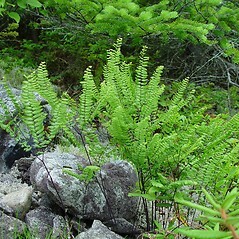 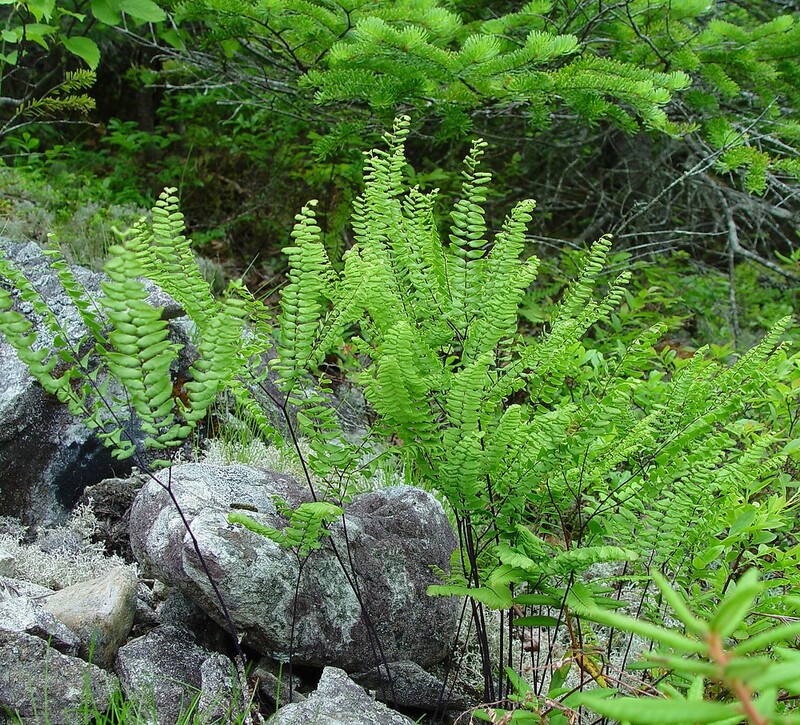 In New England it is a rare fern of serpentine cliffs and talus in Maine and Vermont. 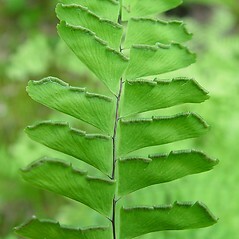 ultimate leaf segments on stalks longer than 0.9 mm and false indusial 2-5 (rarely to 10) mm long (vs. A. aleuticum, with ultimate leaf segments on stalks 0.3-1.3 mm long and false indusial 0.8-2.9 (rarely to 3.4) mm long). 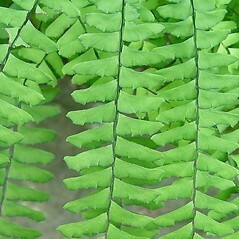 western maidenhair fern. 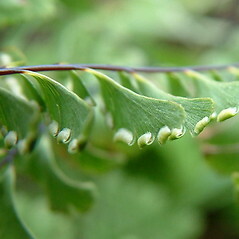 Adiantum pedatum L. ssp. 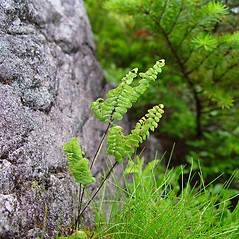 aleuticum (Rupr.) Calder & Taylor; A. pedatum L. var. 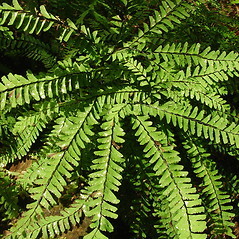 aleuticum Rupr. 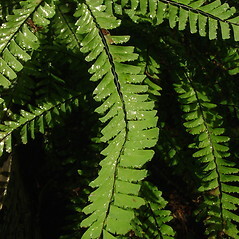 ; A. pedatum L. ssp. 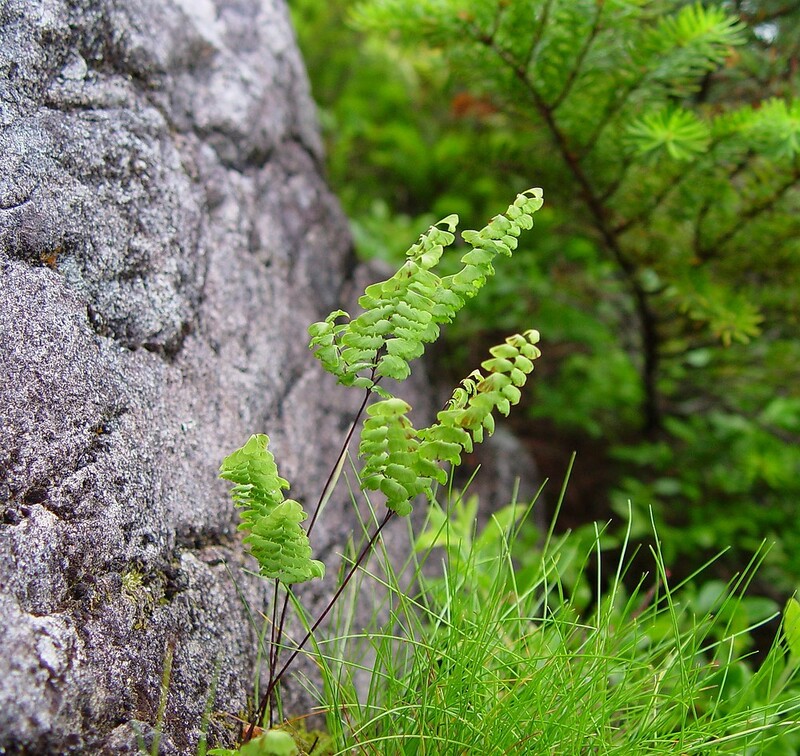 calderi Cody • ME, VT. Serpentine cliffs and talus.